Decades ago, a secret organization brainwashed you and implanted a virtually unbreakable adamantium skeleton into your body. 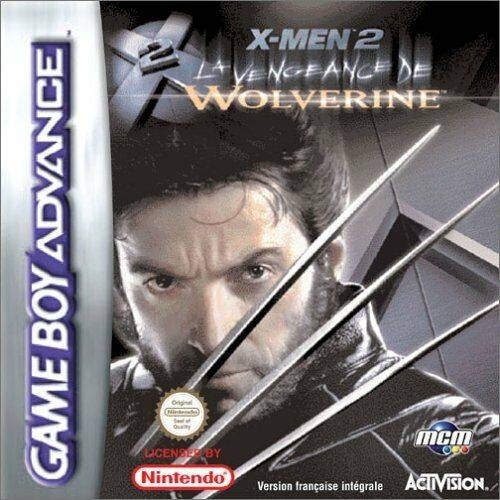 Now, as Wolverine™ - the X-Men's™ most dangerous weapon - you've discovered you were also implanted with a deadly virus that will kill you within the next 48 hours unless the antidote is found. 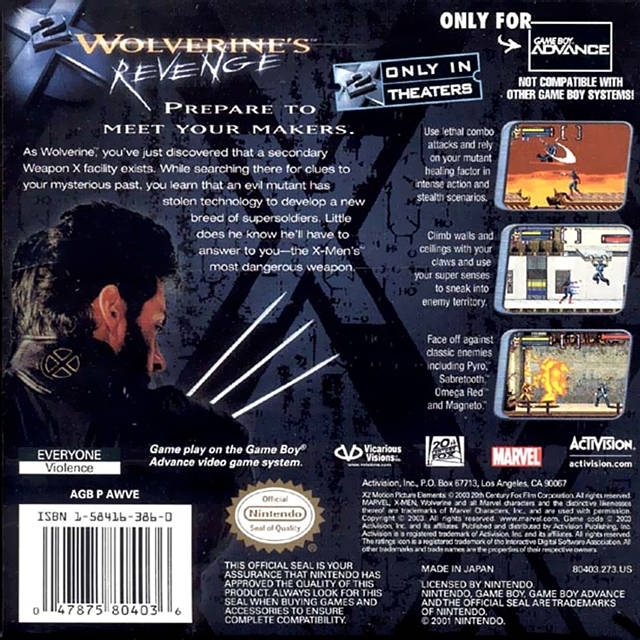 Your future at risk, you must return to confront your past at the sinister Weapon X facility. Time is running out. And so is your life. Unsheathe your razor-sharp claws, unleash lethal combo attacks and use accelerated healing powers as you tear into intense action and stealth scenarios. Enter the realm of senses, using your heightened mutant senses to see scent particles and detect heat when tracking enemies. Mix action and stealth to accomplish your missions. Face off with Sabretooth™, Wendigo™, Juggernaut™, and Magneto™, while Professor X™, and Beast™, help you search for a cure. Become the ultimate fighting machine.